Estill St, Old US Hwy 25, Mitchell Rd, Johnson Rd, and Barker Ln. Local residents include William Evans, Byrant Newby, H.H. Burnett, Lena Gibbs, J.C. Ballard, Marshall Whittamore, Charlie Evans, Eugene Sebastian, Walter Casey, and Mrs. Mary Terrill. 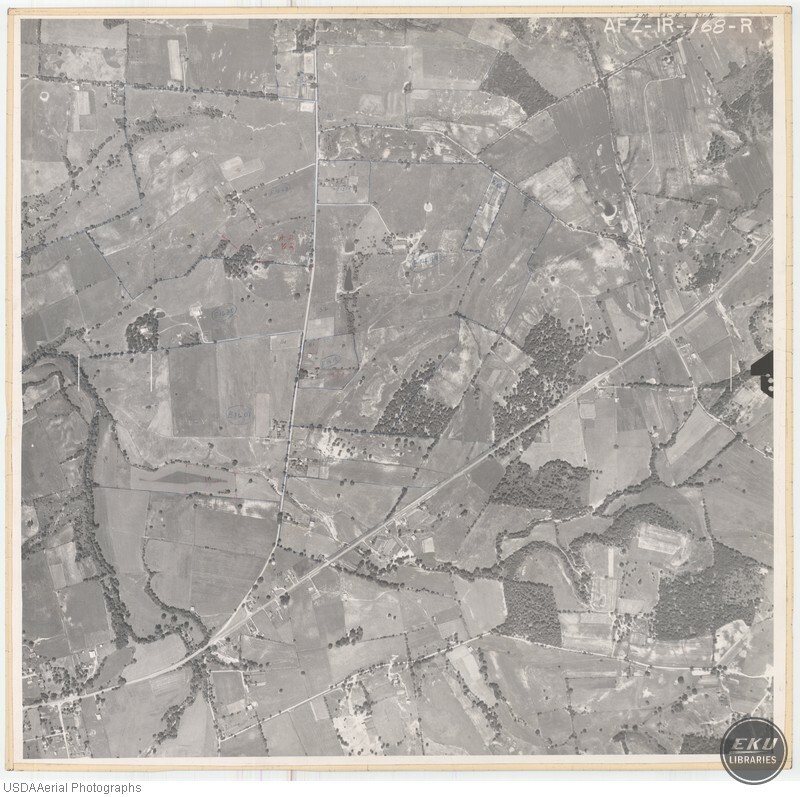 USDA, “South Madison County, City of Berea,” Digital Collections, accessed April 21, 2019, https://digitalcollections.eku.edu/items/show/858.